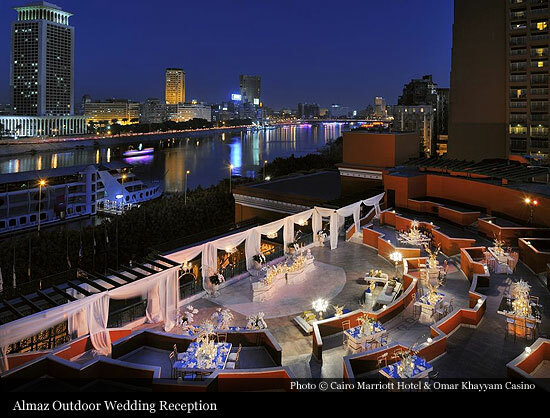 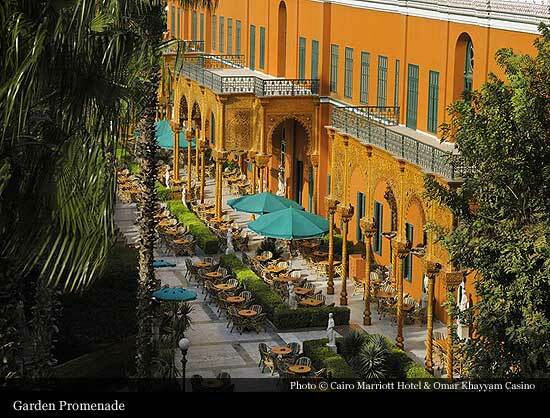 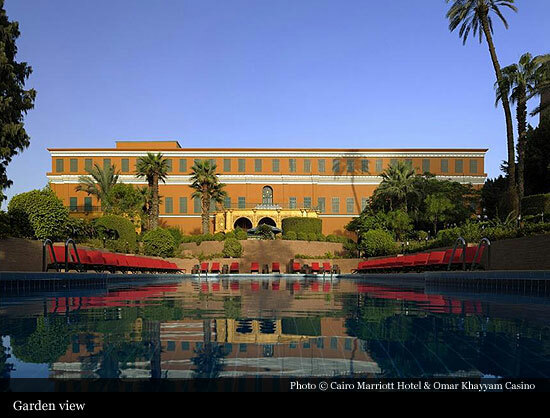 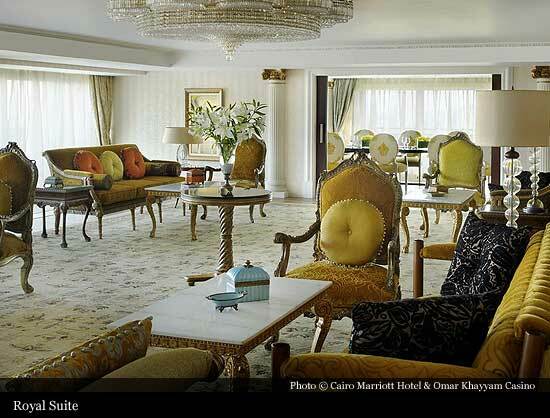 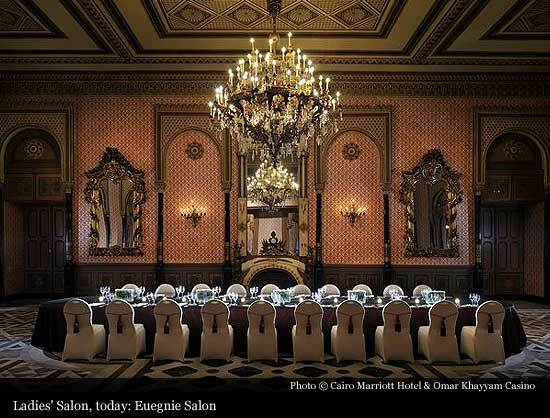 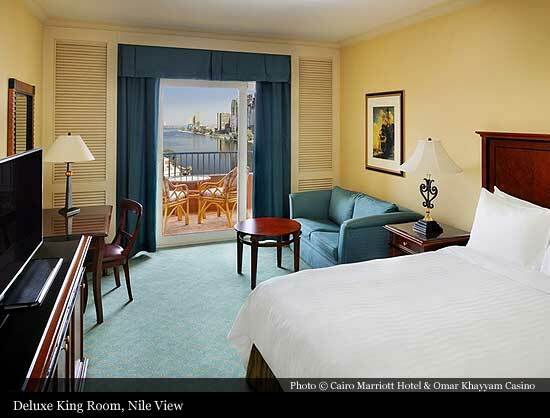 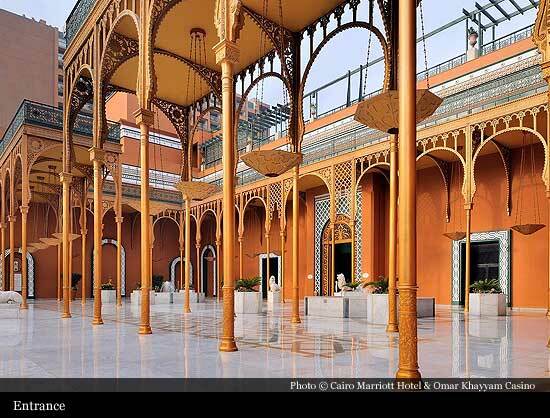 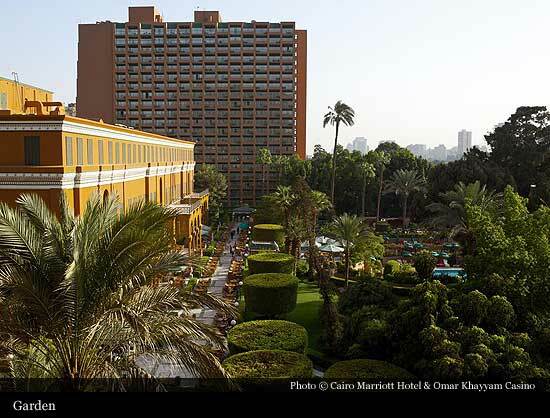 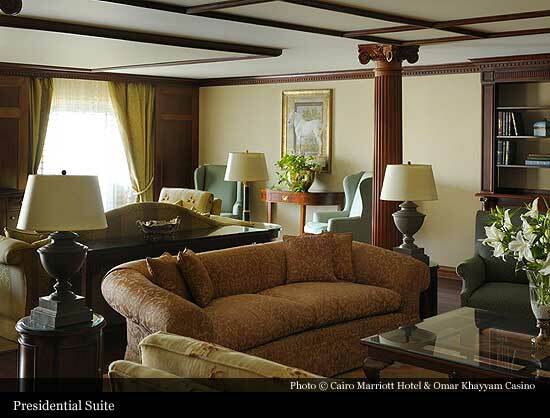 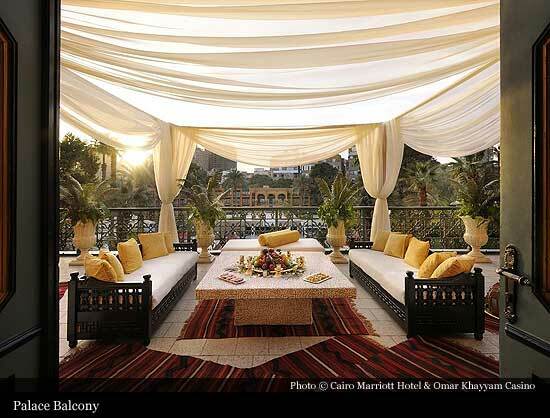 Set amidst six acres of verdant palace gardens in the vibrant Zamalek district, the Cairo Marriott Hotel was originally the Gezirah Palace, built in 1869 by Khedive Ismail to serve as a guest palace during the Suez Canal inauguration celebrations. 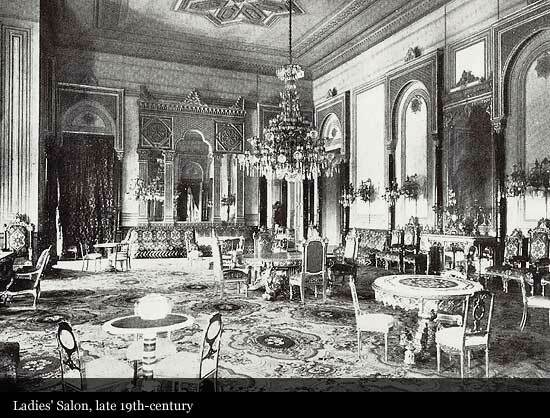 In the years since, it has housed European monarchs, including Empress Eugenie, wife of Napoleon III. 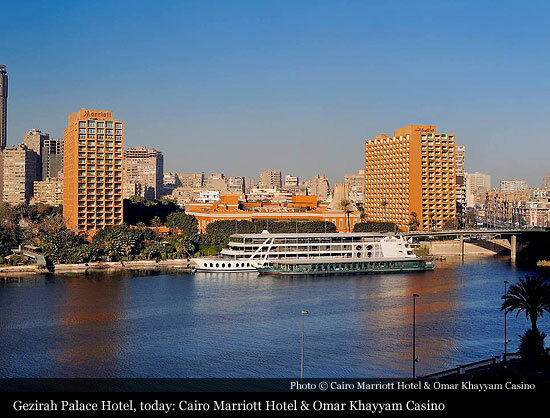 It was to be the venue of the first performance of Verdi's Opera Aida. 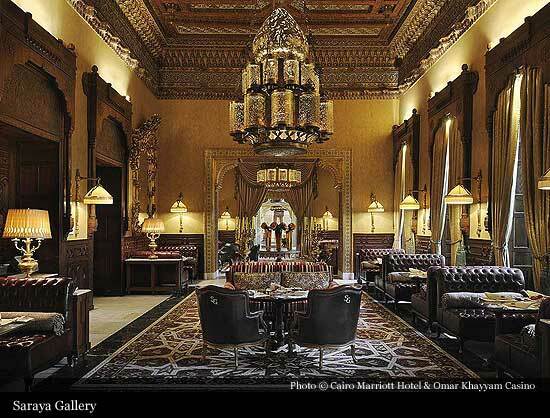 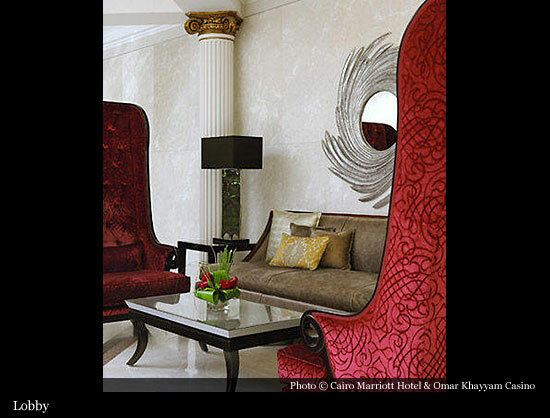 The historic Gezirah Palace's architecture and construction demonstrated Khedive's passion for neoclassical style, favored by designers in Europe at the time. 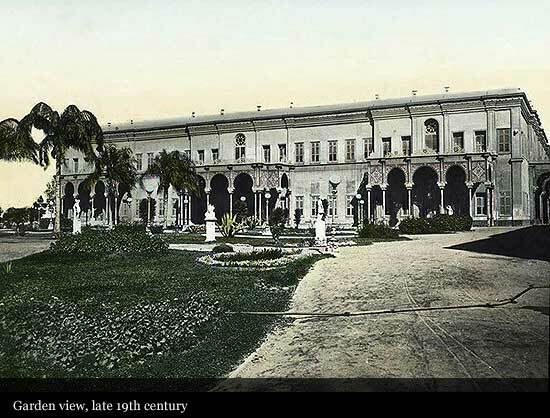 Khedive engaged the services of Austrian architect Julius Franz (later known Franz Bey) and De Curel Del Rosso, the designer of the Abdin Palace. 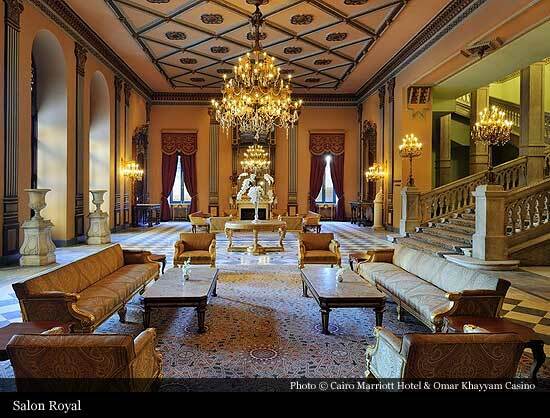 Gezirah Palace has hosted several noteworthy ceremonies throughout history; these include the wedding of Khedive Ismail's son, which lasted 40 days, as well as the wedding of the daughter of Prime Minister Nahhas Pasha in the 1930s and a boat party in front of the palace as part of H.M King Farouk and H.M Queen Nariman's wedding celebrations. 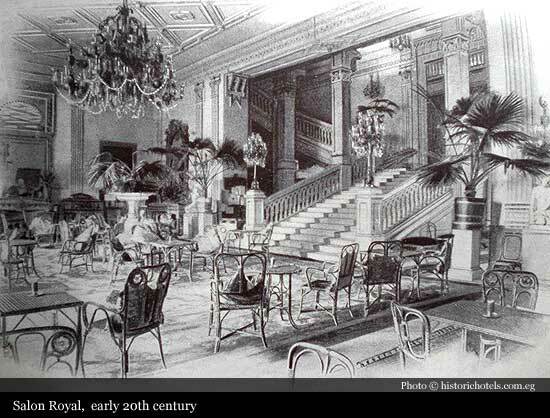 The palace's transition to a hotel led to certain inevitable changes. 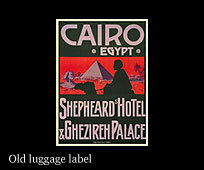 In 1879, due to outstanding debts, it was confiscated by the state and acquired by the Egyptian Hotels Company. 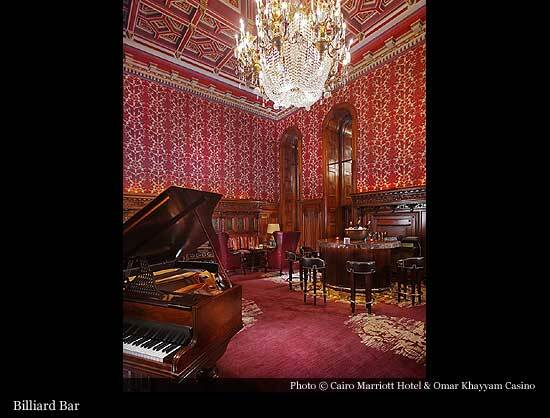 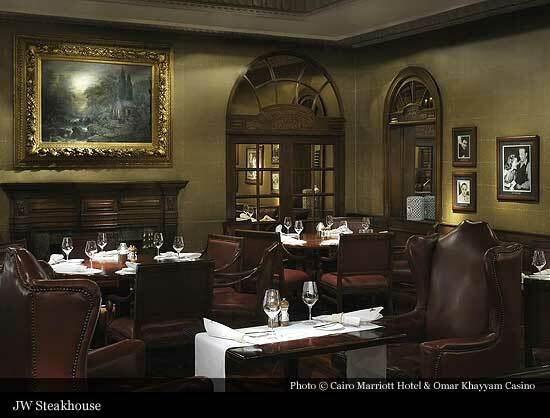 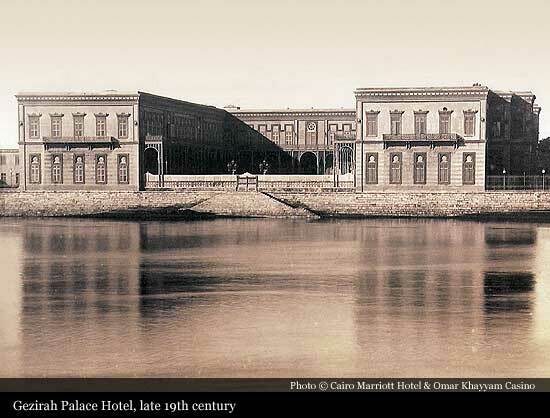 Remodeled, it opened as the Gezira (Gheezireh) Palace Hotel in October 1894.